“Just Do It”—exactly like someone else already did? It’s safe to say every marketer was feeling a sense of urgency to replicate the benefits that the now-famous Nike ad scored for the fitness brand after they chose prominent political activist and former NFL quarterback Colin Kaepernick as the face of their recent campaign. The investment and risk, though? No, thanks. How many briefs are we going to get this month to be “a bit like Nike” but “without the same risk” or budget or brand or history. As the fervor dies down and Nike’s market value rises, it’s time for us to dissect exactly what went right for the gutsy sports apparel brand and work out how best to mimic the same sort of winning marketing moment for your own company. Except—so sorry about this—but if you’re trying to figure out the perfect way to step into Nike’s shoes and create just as buzz-worthy a campaign, you’ve already gone off track. You see, the Nike moment was not a moment at all. It was a perfect combination of history, relevance, and strategic response to provocation. Nike is known for defiance, but never simply for the sake of defiance. In the past, the brand has challenged both authority and cultural norms on behalf of those under-represented, dismissed, or otherwise oppressed. In 1984-85, Nike stood behind a certain rookie’s wearing of colorfully self-expressive shoes against the NBA’s rules, offering to pay the player’s $5,000 per game fine. 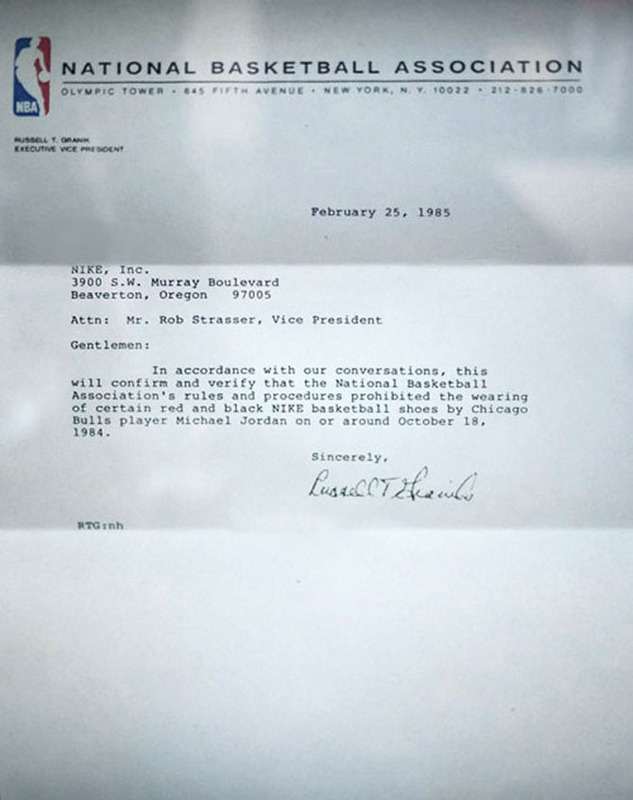 You don’t have to be a sports historian to know that this gamble paid off: the brand was supporting a young Michael Jordan. The mid-’90s saw Nike’s entrance into the female empowerment conversation with “If You Let Me Play.” The spot gave young girls the voice they needed to convince coaches, teachers, parents, and well, boys of the documented benefits of girls and women in sports. In 2007, Nike hosted the Special Olympics Oregon Youth games at its corporate campus for the first time. The annual partnership is still one of the year’s most highly-anticipated events. More recently, Nike pledged $10 million to support Portland’s Bike Share program. The purpose is to invest in physical fitness tools for the city’s often-forgotten young people. A few months ago, Nike served Muslim athletes by producing a pro hijab, a move that equipped players and communicated inclusion to those who needed it. To be clear, the Colin Kaepernick partnership wasn’t the brand’s first foray into political, polarizing, or potentially risky conversations. Had Nike been flexing its defiant voice for the first time last month, then sure, it likely would have backfired. But for 45 years, there’s been a steady involvement as societal issues have arisen. It almost would have been odd not to hear from Nike amid the current conversation. A long-standing reputation of speaking out is a good start, but that alone doesn’t create “a Nike moment.” In fact, consistency alone can earn your company notoriety as a clanging critic. The next ingredient that made the Nike ad particularly resonant is laser-specific relevance. Apparel is one of the most timeless forms of functional self-expression. A hotel, toy maker, toothpaste brand, or mattress retailer’s sponsorship of the conflicted athlete’s self-expression likely would not have made Colin Kaepernick news. If anything, those hypothetical partnerships would have felt forced. Irreverent. For an example that works, consider Expedia. The travel booking site may not want to dive into race relations or the pay gap, but has a legitimate reason to discuss the current administration’s travel bans. Another example of hyper-relevant brand-to-cause position-taking is Kaiser Permanente’s ability to speak to the 2016 Flint Water Crisis. In cases like this, healthcare brands have every right (even expectation) to pipe up amid the cacophony of armchair theorists that tend to steer the narrative. Your particular product or service isn’t the only thing that can render your political stance impertinent. Taking a vocal stand on political issues can also backfire if the tone you’ve historically taken has been one of blissful simplicity or childlike indifference. Finally, the brands who successfully step into a heated societal conversation don’t do it eagerly. They’re not looking for a fight. Instead, the truly resonant ones rise up when the fight comes to them. Washington Post reporters wrote last year that Patagonia’s decision to sue the Trump Administration in response to a scaling back of protected wildlands “represents a shift” from activism to outspoken critical opposition. In other words, they don’t actively oppose something unless it first threatens them, their values, or their customers. It’s one thing to advocate, champion, and financially support good, relevant causes. It’s something completely new to attack the person or entity that threatens those causes. So to recap, if you have a decades-long history of supporting particular causes, and those causes are well within your relevant industry and brand voice, then you may be ready to join the fight. However, true preparedness is hoping you never have to, because when companies stand up unprovoked, often, they fall. There’s a reason provocateurs have never been popular. Consumers can sense noble reluctance when a powerful message like the recent Nike one emerges and controversy starts spreading. Don’t believe for a minute that Nike enjoys seeing communities torn apart by this particular disagreement. Nike’s not picking a fight. They’re helping to end one. When consumers know that there’s sincere motivation driving your brand to speak up, it makes all the difference. Sorry, you’ll never be able to have a Nike moment that compares to the one we saw recently. You can, however, have your own moment. By now, hopefully you can see how. Build a long-term, mutually trusting relationship with audiences, consistently support and champion causes near to your brand’s core purpose, and hope you never have to address a threat to your customers or their values. Bill Gates famously said, “Most people overestimate what they can do in one year, and underestimate what they can do in 10 years.” Translated to a communications department: most teams overestimate what they can do with one ad, and underestimate what they can do with a decade of familiarity and genuine goodwill.